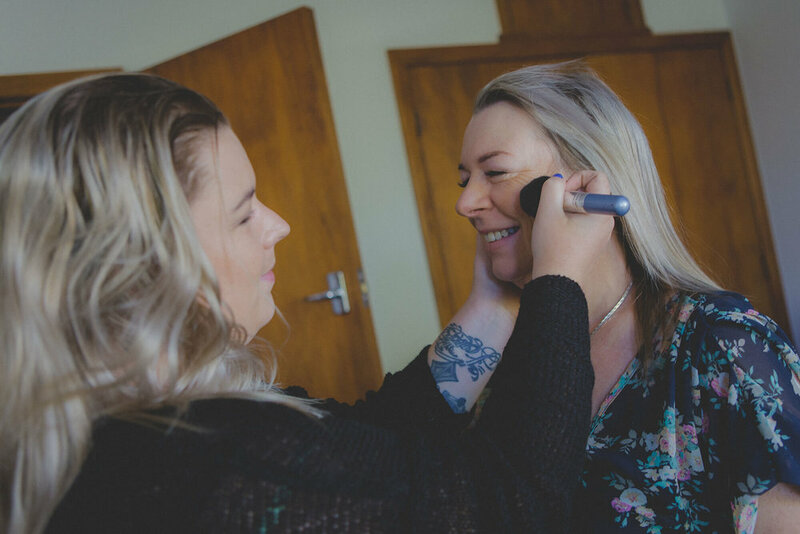 In 2011, Vicki was diagnosed with Glioblastoma multiforme (GBM) – the same aggressive brain tumour that Wellington lawyer Lecretia Seales died from. It is colloquially known as “The Terminator”. At the time of her diagnosis Vicki was given a life expectancy of 12 to 14 months. Even though she has outlived this prognosis, she is still considered terminal. The only reason a medical professional might not approve Vicki for euthanasia or assisted suicide under the End of Life Choice Bill would be if they believed that she was no longer able to understand the nature or effects of euthanasia and assisted suicide. Vicki could easily find a medical professional who would give her a life expectancy of six months or less, since prognosis involves subjectivity, and her condition can deteriorate suddenly. She is “in an advanced state of irreversible decline in capability”, and could, at any point, decide that the suffering she endures is unbearable. Vicki, wife, mother and grandmother from Palmerston North, lives by the mantra of ‘you can lay down and die or you can get up and fight’. As she stares death in the face, choosing to fight is a daily choice she is determined to make. Vicki has already had several close encounters with death. She lost her brother and two of his friends after they were killed by a drunk driver when she was only thirteen. Then when she was 21 her father passed away from a heart attack, and following an eighteen-month battle with ovarian cancer, her mother also passed away. So Vicki understands only too well what it is like to lose loved ones, whether it is suddenly and unexpectedly or whether it means having to watch them die slowly over a long period of time. “I say, there’s never a good way to lose someone you love, but the reality is that we all die,” Vicki says. Over the next few days there were seizures and other signs that things were not quite right, and so began her journey of many hospital visits. Vicki had test after test and finally, after two days in hospital, the doctor ordered an MRI scan. Within minutes of returning to her room from the scan, the doctor appeared, held her hand and told her that she had a mass on her brain, and that he was very sorry. Vicki wasn’t left to ponder too long what that meant. As she was being wheeled into the new ward, things started to feel a little too familiar; this was the exact same ward her mother had been in before she died. Vicki recalls that moment tearfully. A nurse and doctor explained that she had Glioblastoma Multiforme (GBM) – the same condition Lecretia Seales had. A nurse and doctor explained that she had Glioblastoma Multiforme (GBM). Other than being told that it was indeed cancer, she wasn’t given many specifics at the time, but she did ask the nurse to write down the name of her condition so that she could Google it later. It was a sobering experience when her online search brought up the words, ‘The Terminator’. Based on what she read Vicki soon realised just how serious her diagnosis was, and that she would be lucky to survive even as long as 18 months. Amid swirling thoughts she tried to figure out what she could do to fill those 18 months. Suddenly, she was in a very surreal place where everything felt like she was watching a movie of someone’s life, except it was her own. It was Dave who broke the news to Vicki’s daughter, Asti, who was a student at the time. “I remember when Pa called me and said, ‘Bub, Mum’s actually got a brain tumour,’ and I just remember thinking, like, ‘No way. There’s no way. It’s got to be wrong!’” remembers Asti. After those three very difficult months, Vicki’s condition improved to the point of not needing Dave’s constant care and he was able to return to work part-time – until Vicki was sure that she could manage without him. Although life was still hard, she had managed to turn a small but significant corner. She realised, too, everything she would have lost. There were so many things that were good in her life which could have been prematurely stolen if she had followed through on her feelings to end it all. Vicki now has a mindset that even on a dark day it is still a good day to be alive. She is no stranger to pain and suffering, which makes her the perfect candidate to choose euthanasia if she so desires. It does beg the question, what confidence are we giving those who are already vulnerable? Will we isolate the vulnerable even more by making them feel unsafe around the medical professionals who care for them? Doesn’t this contradict what good support should look like? Surely, moving forward, we want to create an environment for vulnerable people to feel they can trust their doctor without having to be wary of them because of a feeling that they can’t be completely trusted. Vicki says, “If you’d said to me before I was ill that I’d end up in a wheelchair all the time, or not be able to walk unaided, I probably wouldn’t have valued that as being a very good quality of life. Yet now, here I am, thinking that I’ve got a wonderful life, and wonderful family and friends.” She is adamant that as long as someone receives the right support, with their cultural needs met, and is cared for by people who are acting in their best interests, they can experience a good quality of life and then go on to die with dignity. She speaks of her mother’s death as being hard, but also of being a beautiful time that she would not change for the world. Vicki considers her last moments with her mother as a very special time. Vicki once had a conversation with a lady who confided that she was made to feel a bother, saying she felt like an inconvenient responsibility to her children who were just waiting for her to die. It is confronting, but far more common than we would imagine. In 2016, the insurance company of Californian mother-of-four, Stephanie Packer, refused to pay for her chemotherapy treatment but offered instead to pay for her assisted suicide. Who can guarantee that we won’t be hearing stories similar to Stephanie Packer’s coming out of Aotearoa? Things that we think are unimaginable suddenly start to become very real options once a door like this is opened.